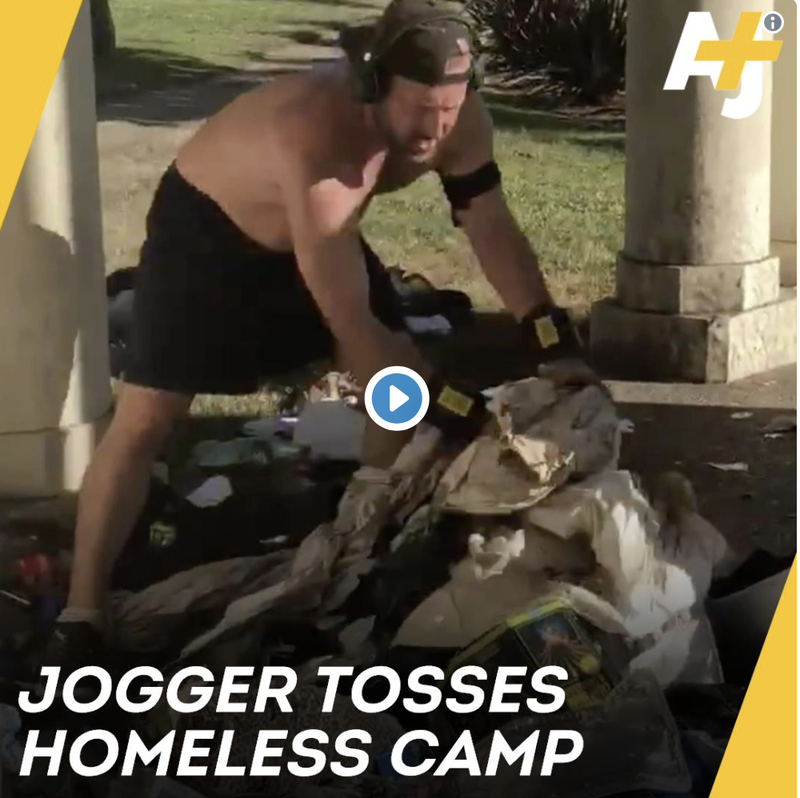 In Oakland, Calif., a shirtless and bearded white man decided, for whatever reason, to table his jogging routine just so he could throw a homeless man’s belongings into a nearby lake. Please watch this video, captured by Facebook user JJ Harris and shared by AJ+, to see America at its whitest. I’ve been wondering, since watching this video, what an appropriate punishment for this yet-to-be-named person would be. He clearly didn’t care about the cameras filming him and people watching him, so public shaming might not work the same way it did with Schlossberg.